This morning Rochelle, Vince, Maja and I caught the shuttle to downtown Berkeley (Rochelle Cox and Vince Polito are two of my former PhD students, now Postdoctoral Fellows at Macquarie University; Maja is Vince’s partner). 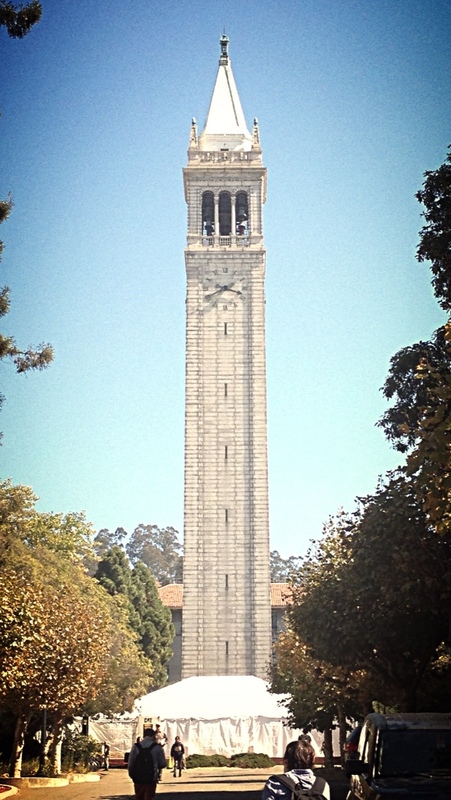 We walked through the UC Berkeley campus and then up Bancroft Way, which serves as the southern boundary of the University. At the top of Bancroft Way on Piedmont Avenue, looking west, is International House. 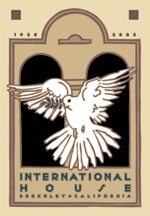 International House opened its doors to international and US students and scholars in 1930. It was built and paid for by John D Rockefeller Jr and Harry Edmonds, who also built International House in New York. 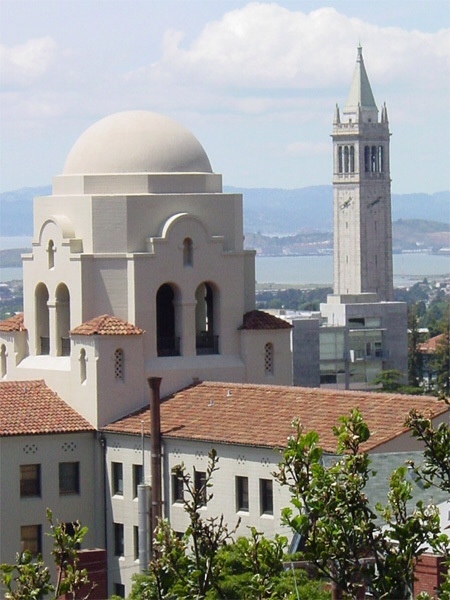 I learned today that Berkeley's International House was built facing west over the Pacific to mirror New York's International House, which was built first and faces east over the Atlantic. I lived at International House for 6 months from January 1998. I was lucky to have a Bay View room. When the weather was fine I could see all the way to the Golden Gate Bridge. 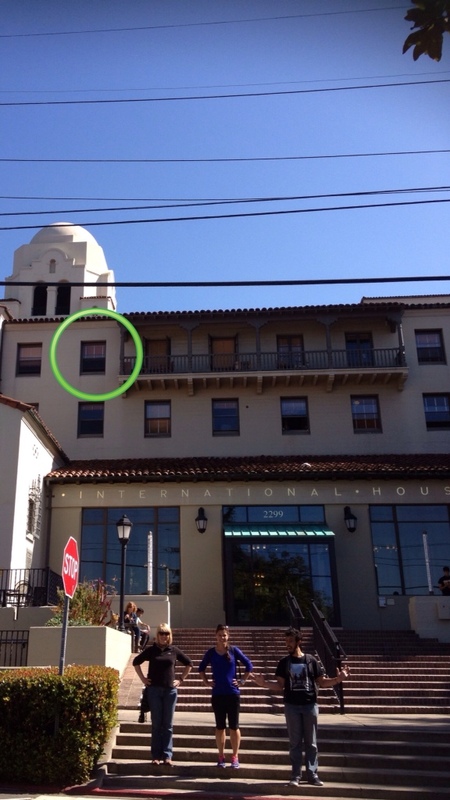 Here is a photo of Rochelle, Vince and Maja today in front of I-House with the window of my old room circled. International House was built in Spanish Colonial Revivial style, with enormous black wrought iron chandeliers in the Great Hall, beautiful tiles everywhere, elaborate ceilings, and the large white dome that sits atop the building. The Great Hall (pictured below) was the place where we could sink into oversized leather sofas, watch basketball on a giant TV (first there got to choose the channel), dress up for the Winter Ball, or play a game of Cleudo that might go on for days. Just like scholars and students since 1952, I visited the local newspaper, took a boat ride on the amazing Shasta Dam, walked through a pulp mill, and was treated to a BB King concert (which, unfortunately I slept through because I was so tired, dreaming the whole time of plates crashing on the floor; the drums and guitars must have filtered into my subconscious as I slept in my seat). I learned what a pot luck dinner was and discovered a flair for bowling. Most importantly I was treated like a part of my host's family when I was far from home and very homesick. As I read the words of the Indian student in the photo above, memories of my homesickness as well as gratitude for the care of strangers came flooding back. 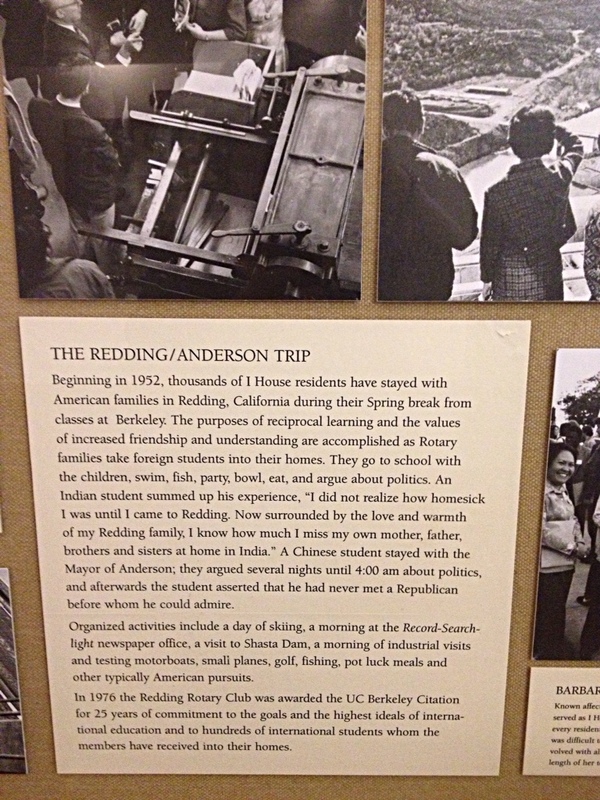 I hadn't thought of that trip to Redding in probably 15 years. Every day I lived in Berkeley I walked onto the campus through historic Sather Gate (below), past Sather Tower (below; a clock and bell tower nicknamed “the Campanile” after its architectural inspiration, St Mark's Campanile in Venice), and over to Tolman Hall, home of the Psychology Department and of the sponsor of my visit, Professor John Kihlstrom. 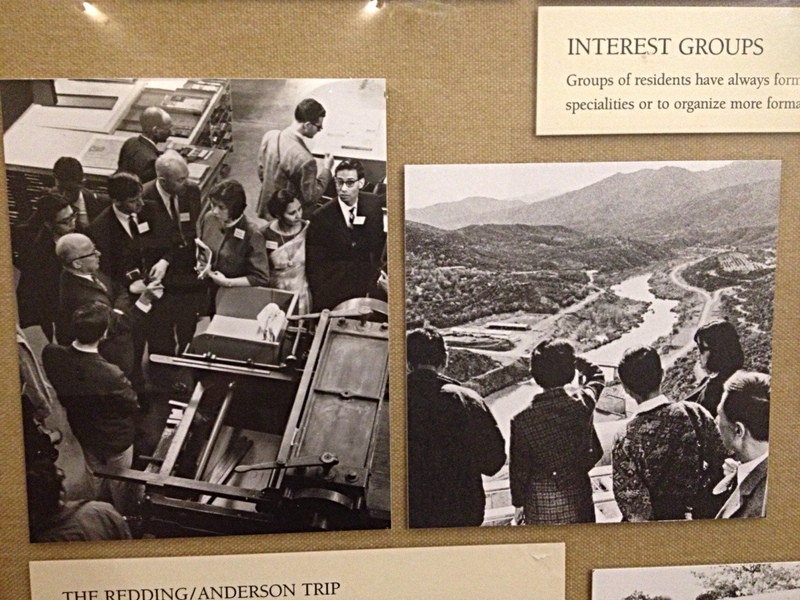 You can read more about the history of UC Berkeley here and about its architecture here. 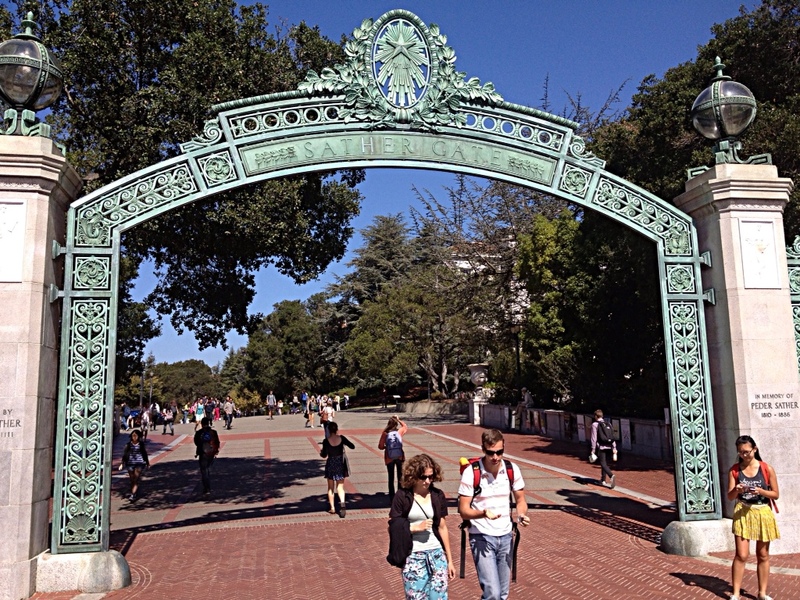 It was lovely retracing those steps and remembering my days in Berkeley: days that often challenged me, sometimes delighted me, and definitely changed me. Berkeley has changed too it seems, with Telegraph Avenue more run down that I remember; Shattuck Avenue more built up; and a lovely new shopping and restaurant area way down on Fourth Street. The idea of the establishment of this institution on the Pacific Coast was suggested by the success of a similar one on the Atlantic Coast, in New York City, which has become well and favorably known throughout the world. By bringing together in unfettered cooperation the educated young people of all lands, many of whom will in years to come be leaders in their several countries, and by giving them the full opportunity for frank discussion on terms of equality, there is being performed, I believe, a service for the well-being of the world, the importance of which it is difficult to over-value. International House is a laboratory for a new kind of experiment – the day-to-day practice of international fellowship among men and women. Tonight I am thinking of you, my long ago friends from I-House: Dimitar from Bulgaria (who taught me how to say “epiphany” in Bulgarian) and Shigeru from Japan. 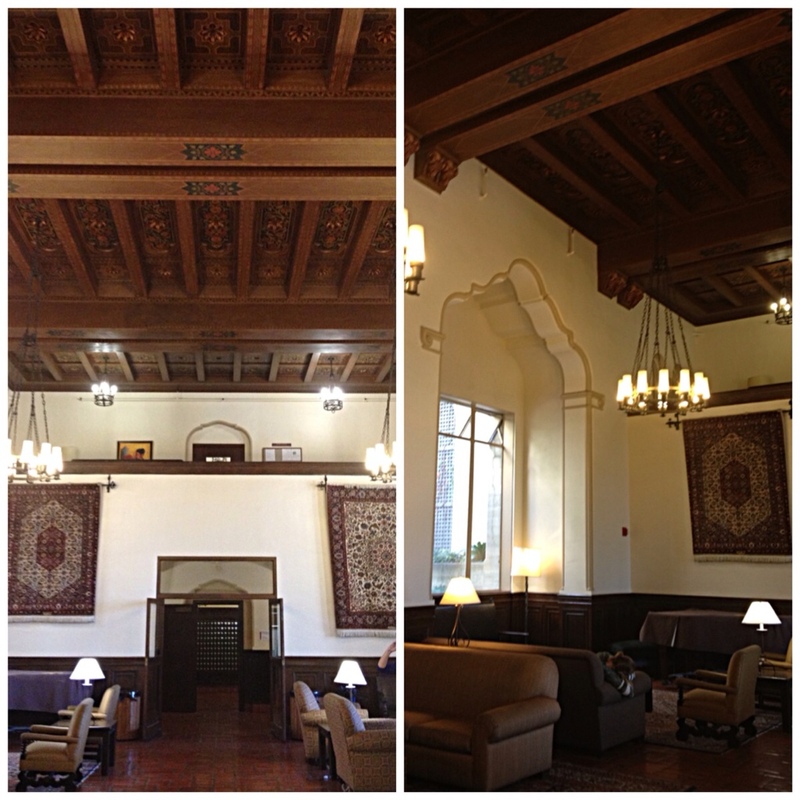 This entry was posted in Berkeley, International House, Memories, Out and about, San Francisco on October 3, 2013 by Amanda Barnier.